Where to next? as walkers summit an oreum along Route 1 during the guided walk on February 22. We have THREE walks on the trail today. Im Sook-ja is leading 4 pre-registered walkers on Route 4. Jeong Yeong-ho is with 13 pre-registered walkers on Route 9. Then Kim Geum-gui is along Route 12 with 10 pre-registered walkers. There were 25 walkers on Route 1-1 (Udo) with Jeong Yeong-ho yesterday. 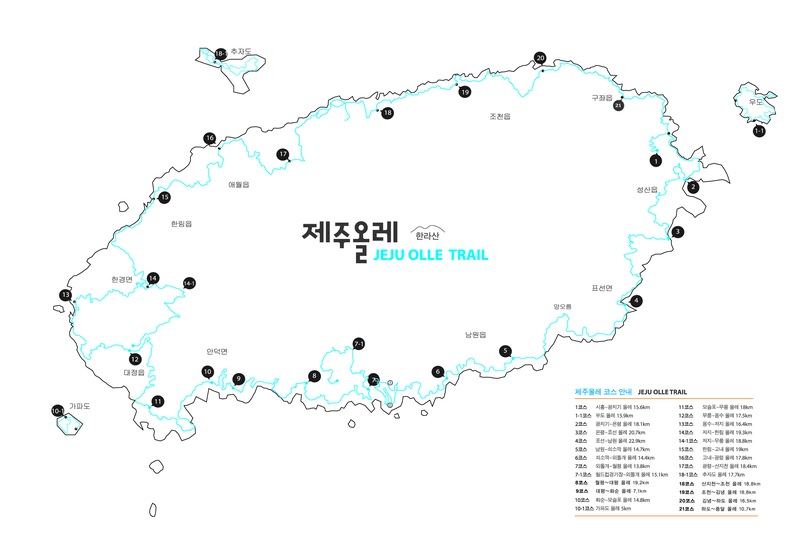 They took the ferry back to Jeju by 3:10 p.m.
Sunrise was at 7:09 a.m. and sunset will be at 6:26 p.m.
We have a lovely high of 14°C with little cloud to clear sky and a gentle wind (4 m/s) blowing west. It’s looking good out there.